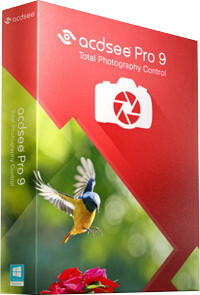 Established photo enhancement and management solution, ACDSee Pro 9 not only stands the test of time, but continues to take on an ever-expanding list of improvements and new features designed to give users the stunning results and ease of use they have come to expect from this trusted software. New organizational tools, lens correction, elevated chronological viewing, new ways to track and batch apply any editing adjustment, the freedom to return to any point in development, extended creative capabilities through Photoshop plugin support, new light and skin adjustments, and much more, make ACDSee Pro 9 one of our strongest versions to date. As the first digital asset management software with layers, ACDSee Ultimate 9 is able to answer an unparalleled number of creative graphic and image composition needs. Armed with a potent list of adjustment layers, working with layers just became non-destructive, giving you the complete flexibility to create the image composites, photo manipulations, and innovative graphics you’ve been envisioning. 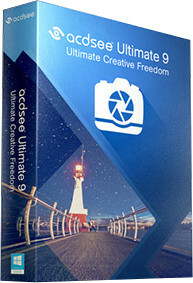 With new ways to track your adjustments and apply them to batches, development snapshots, extended creative capabilities through Photoshop plugin support, new lighting and skin tone adjustments, additional ways to compartmentalize, even more drawing tools, improved lens correction, high DPI support, and so much more, ACDSee Ultimate 9 packs a valuable punch.